Capture all your financial information in a single, scalable solution. Handle all your accounting transactions effectively and comprehensively with SAP Business One. You can use its chart of accounts templates as is or customize them to match your business requirements. Because the templates incorporate country-specific legal requirements, such as segmentation or specific numbering, you can comply more efficiently with local laws and regulations. Wherever you conduct business, the application supports you with multiple global financial reporting standards and currencies, availability in 27 languages, and localization for 42 countries. Transactions in Petrosoft Enterprise automatically trigger corresponding journal entries in real time. For example, a goods receipt posting not only automatically creates the necessary journal entry to adjust inventory levels and valuation, but also updates corresponding expense accounts. You can configure primary accounts, using rules and priority, so the right general ledger accounts are used in each transaction. For transactions that repeat from period to period, recurring postings and posting templates simplify redundant tasks and eliminate the potential for errors. You can use journal vouchers to create multiple journal entries and then process these vouchers in batch mode, posting all entries simultaneously. Implement or adapt predefined chart of account template Define and manage budgets Manage incoming and outgoing payments with cash, checks, electronic bank transfers, and credit cards. Petrosoft Enterprise provides intuitive features and reports that help you run your business more profitably. You can optimize liquidity by accurately forecasting your cash flow and cash requirements and efficiently handle payment terms, customer reminders, and cash collections. For example, you can set up workflow-based alerts that notify you of pending payments that may affect your cash flow. In addition, you can track customers that have unpaid invoices and automatically generate reminder letters based on the length of delay, the payment terms, and the amount due. Because Petrosoft Enterprise runs on the SAP HANA platform, robust functionality and in-memory computing power take cash flow forecasting to the next level of performance by including sales orders, purchase orders, down payments, recurrent postings, and other critical, cash-related transactions in real-time calculations. Using multibranch cost accounting, you can track departments, divisions, or various geographies separately to determine how much spending is being generated for various business purposes. You can manage direct and indirect expenses and revenues, such as administration, advertising, and financing costs that are spread across multiple business activities, by setting up distribution rules for automatic allocation of revenues and expenses. The month-end closing process is crucial to all organizations. The goal is to compile accurate financial statements that management can use to make business decisions. Petrosoft Enterprise accelerates the month-end close by automating business activities, thereby increasing efficiencies and reducing errors. You have quick access to real-time, reliable financial information, which further reduces the time it takes to close your books at the end of every period. Petrosoft Enterprise automatically calculates taxes, such as sales tax, value-added tax, and withholding tax, for each line item on each transaction, taking into account country-specific allocation and reporting requirements. With automated computation and reporting of tax processes, you can comply fully with the legal requirements of each country where you do business. Localizations for 42 countries simplify tax calculations, streamline reporting, and optimize legal compliance. With the banking and reconciliation functionality in Petrosoft Enterprise, you can automate and accelerate incoming and outgoing payments. The payment wizard allows you to clear multiple accounts receivable and accounts payable invoices in batch mode for checks and bank transfers. Payments are executed according to your selection criteria and payment method, such as check, bank transfer, credit card, or cash, and then journal entry transactions are posted automatically once the process is completed. You can process external bank statements to generate incoming and outgoing payments and to reconcile your balance sheet accounts. In addition, you can use a reconciliation engine to match payments that are not reconciled automatically, such as payments made “on account”, by opening items either automatically or manually and filtering by general ledger account or by business partner. Enhance the efficiency of collections and payments by connecting directly with your bank online. To make sure you stay on track, you can set up budgets in your local currency using various budget allocation rules and then accurately track corresponding expenses. Alerts can either inform users whenever a transaction exceeds a defined budget limit or automatically block transactions that exceed limits. You can create a detailed profit and loss statement based on direct and indirect revenue and expenses as defined in the allocation rules. And you can choose between annual and monthly display formats and compare the results for multiple periods. A wide range of financial reports are available, such as balance sheets, profit and loss statements, profitability reports, multiperiod comparisons, aging reports, and budget reports. Using interactive drill down and drag-and-relate functionality, you can click through the relevant data and get the answers you need. Because Petrosoft Enterprise is powered by SAP HANA, your business reporting is transformed. In addition to using the reports and dashboards that are standard with Petrosoft Enterprise, you can also run multi – dimensional analyses on live data. As a result, you have sharper insight into the bigger financial picture before making business – critical decisions. Different business units of your company may have different reporting needs but may share users, business partners, customers, and other master data. Maintaining multiple systems or databases for different business units is inconvenient and may cause data inconsistency. Multibranch capabilities in Petrosoft Enterprise enable you to use a single database when working across branches. 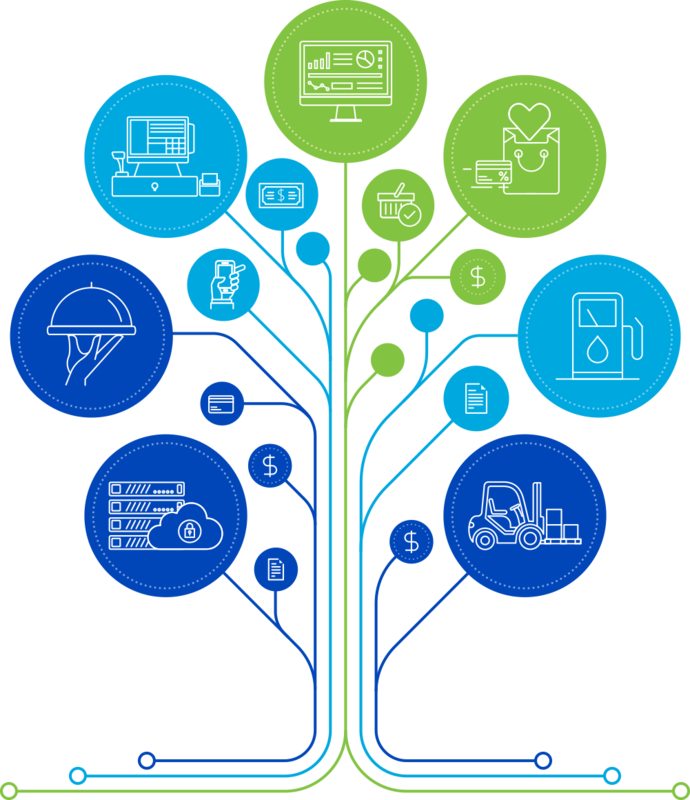 With fixed assets data maintained in item master data, you can track fixed assets through their lifecycle, depreciate as needed, or transfer to other cost centers when necessary. You can plan the depreciation of your fixed assets using popular depreciation methods such as straight line period control, declining balance, or multilevel. Depreciation can be calculated with the monthly base. You can appreciate a fixed asset by creating a manual depreciation document or perform a fixed asset revaluation. SAP Business One enables you to purchase and sell your fixed assets using documents such as an accounts payable or accounts receivable invoice, a credit memo, or a reserve invoice. You can change the asset class of a fixed asset by creating a transfer document. In addition, you can apply more than one set of accounts to a fixed asset, so that the asset value and transactions can be posted to more than one accounting area at the same time. Eliminate the guesswork of managing your assets with integrated, flexible software for depreciations and fixed asset management.